Given the price of these figures I simply cannot believe how poorly they go together. They barely fit at all, plugs and holes don't line up, not to mention cavernous gaps at all of the joins. 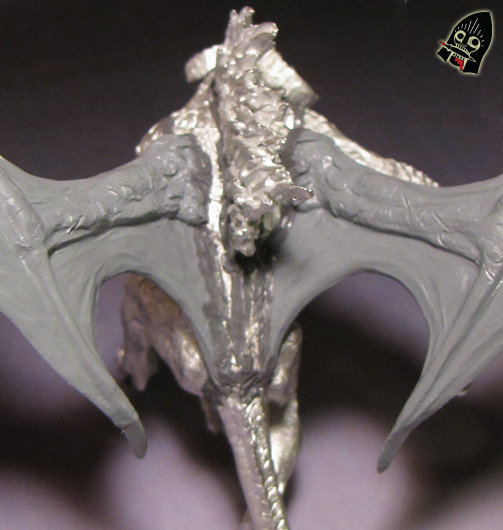 Here we see all the putty required around the wings and tail.